Marcus Varitor, Centurion, is book two of Anne Baxter Campbell’s Truth Trilogy, and it’s just recently available for purchase. Check it out on amazon and B&N for either digital or print versions. 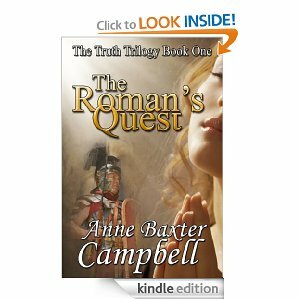 Book one, The Roman’s Quest, tells the story of Centurion Julius and his Jewish love, Miriam. Uniting a Roman centurion and a Jewish maiden involves many challenges in the first-century Roman world. Book two, Marcus Varitor, Centurion, follows one of the characters from book one—Julius’ friend Marcus—and weaves his story. Decanus Marcus (decanus means “chief of ten”) is a young centurion (a professional officer of the Roman army) who has lived a rather riotous life, but seeks to straighten his course because of the change he sees in his friend Julius as well as the attraction he feels for a young Egyptian slave named Meskhanet. Julius has become a Jewish proselyte and Meskhanet also is trying to understand the ways of Adonai, the One God. Featuring strongly in this story is the infamous Barabbas, whom we know as the criminal freed instead of Jesus. From the start of the book, we know that Decanus Marcus is committed to capturing and convicting Barabbas, but the insurrectionist is a slippery fish to catch and also has plans for revenge and betrayal. The chase leads from Jerusalem to Rome and back, which offers much fodder for story depth and color. The plot is further complicated by Marcus’ difficult relationship with his family, Meskhanet’s wish to serve her mistress instead of marrying, Barabbas’ mother and her divided loyalties, and many more fascinating subplots. The storyline is intense and unpredictable, which makes for a gripping read. The characters are strong but not flawless, a must in order for us to identify with them. Campbell makes us care from the beginning what happens to the characters. Dialogue also plays an important part in giving a story credibility, and the author does this well. Both these books are impeccably researched, from my point of view. Campbell knows the money, the clothing, the lifestyles from Israel to Italy (including Barabbas’ camp), the place of women in society in that day, the relationships between slaves and masters, and many other details we take for granted when we read the story. As in any good historical fiction piece, I learned a lot from the experience and was entertained and inspired at the same time. I highly recommend this book to readers of historical fiction as well as those who do not normally read in that genre. The writing flows, the stakes are high and the takeaway value is worthwhile. As Wendy waits for a bus after having been fired from her job just a few days before Christmas, she hears a noise in a nearby trashcan. When the noise turns out to be the weak cries of a newborn baby, Wendy’s focus turns from herself to the infant as she wonders what to do next. This short story hooked me at the first paragraph and didn’t let go until the final sentence. The writing flows, allowing a conversational tale of trouble and hope to emerge. I was immediately drawn into the lives of the characters with their strengths as well as their weaknesses, the dialogue easy and natural. Much thought has obviously gone into the plot as well. The inclusion of a romantic thread between Wendy and EMT Gabriel is a delightful counterpoint to the serious incident that prompted the initial action. Although the story is brief, all the necessary information is woven in smoothly, and this backstory adds some of the constant tension that keeps us reading, along with the unanswered questions that pop up from the beginning. Why was Wendy fired? Who will stand by her as she works through this situation? Why was the child abandoned? Why is Wendy alone at this time of year? I especially like the curious names that add color to the story, a unique method of pacing and tension/relief to keep the horror of the baby’s situation from becoming overwhelming. Even though the tale is told from a strong moral stance, it is not preachy, including the basics of the gospel with brevity and clear simplicity. 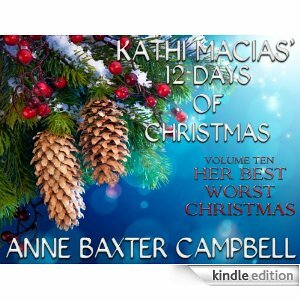 The story ends on a note of hope that all things will work out for good in the lives of Wendy, Gabriel and little Merry. A most pleasant read, especially at Christmas time. Thank you, Anne Baxter Campbell. Julius Saturnius stands guard in the heat of a Jericho day, but he doesn’t mind because he’s waiting for another glimpse of the beautiful young Jewish girl he’s seen at the well. Miriam doesn’t want to admit even to herself that she’s attracted to the handsome Roman centurion; after all, Rome is the enemy and she should not even look at him. Through increasingly tense circumstances, Julius and Miriam become acquainted, but what can ever come of an attraction between a Jew and a Gentile? The impossibilities mount up into a high wall that separates them with faint hope of every being broken through. What Miriam doesn’t realize it that Julius knows her secret, and the Lord God knows the secrets of both their hearts. This well-written story is set in the time the Romans ruled over the Jews, and the author has obviously gone to great lengths to research and depict the setting accurately. The characters are real and easy to identify with, and the plot leads the reader ever deeper into the impossible love story with each page. The Roman’s Quest is a sweet romance set in dismal and dangerous times, but where God is involved, miracles can still happen.